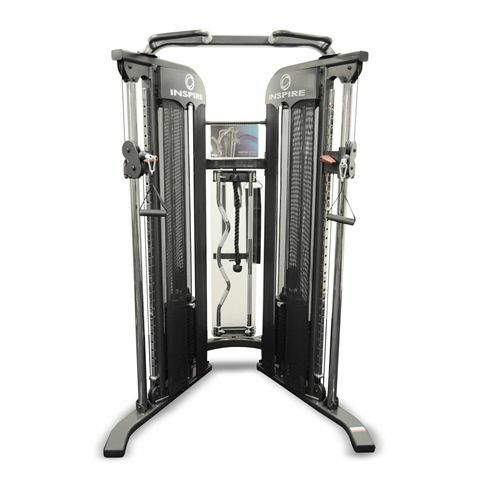 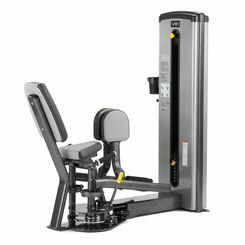 The Inspire Fitness M5 multi gym has a dual weight stack (2 x 95kg /210lbs) to enable 2 persons to exercise at the same time and, apart from being highly functional, it also features a robust construction with a commercial 11 gauge steel frame, nylon pulleys and a 2000lb tensile strength cable. 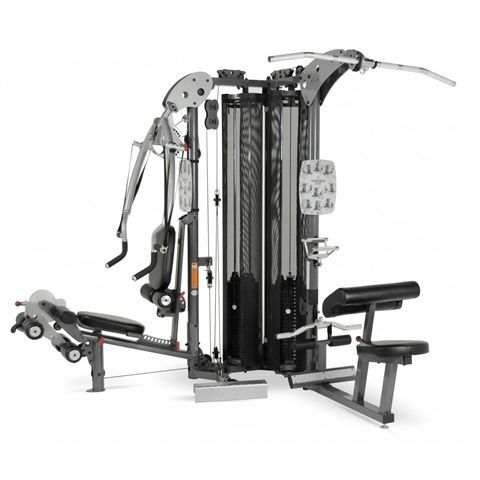 One of the stations offers a fixed and cable motion multiple position bench press and pec dec facility, whereas the other provides a height adjustable preacher curl facility using the lower cable and a standard curl bar. 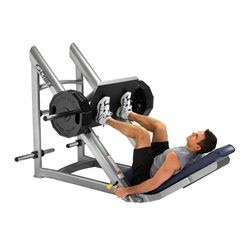 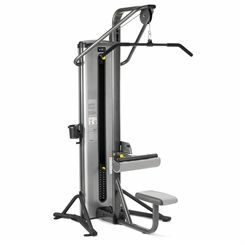 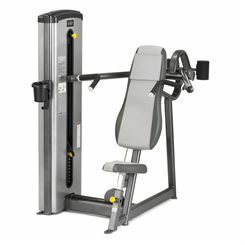 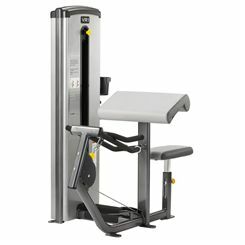 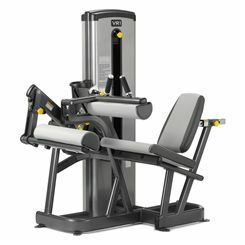 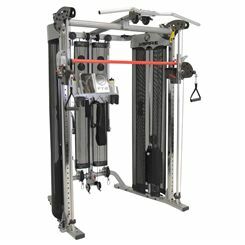 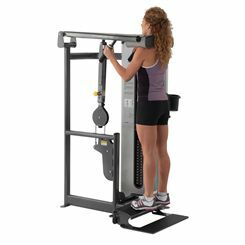 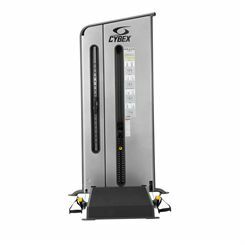 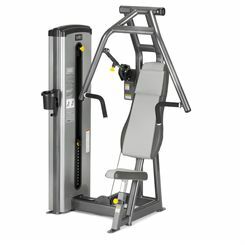 The machine features a unique press arm for performing both fixed pressing exercises that develop size and strength as well as free motion movements which improve mobility and coordination. 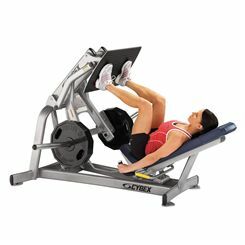 Its seated leg curl station enables you to shape glutes and strengthen hamstring muscles. 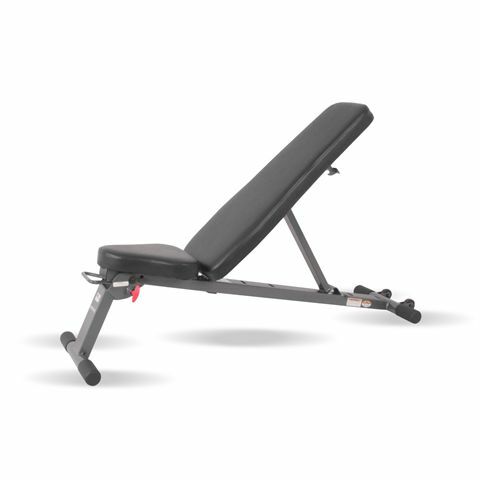 A great solution for those who don’t have a lot of space to work out at home, the Inspire Fitness FLB2 folding bench is constructed from premium quality materials and folds completely flat for storage. 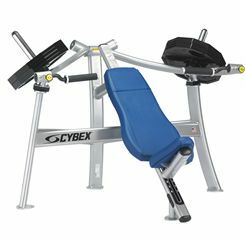 For a comfortable workout position, the bench has a contoured padded seat and back support and the heavy duty rectangular and round 11 gauge tubular steel frame makes it both solid and durable. 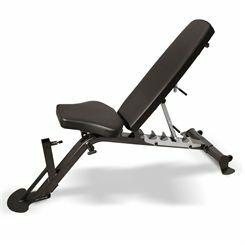 This functional, compact bench provides excellent workout versatility thanks to flat, incline and decline options with 6 position adjustments and offers weight capacity of 227kg (500lbs).